Hanksugi JapanCommercial TiresWe are the sole distributors ofthe Premium Hanksugi JapanCommercial Tires in El Paso. Hanksugi Japan Commercial Tires - We are the sole distributors of the Premium Hanksugi Japan Commercial Tires in El Paso. Esco EngineRebuild KitsWe are an authorized dealer ofEngine Rebuild Kits for allmajor diesel engine parts. Esco Engine Rebuild Kits - We are an authorized dealer of Engine Rebuild Kits for all major diesel engine parts. LongwayCommercial TiresWe are the sole distributors of LongwayCommercial Tires in El Paso.Make every dollar go a long way. Longway Commercial Tires - We are the sole distributors of Longway Commercial Tires in El Paso. Make every dollar go a long way. Welcome to A2Z Diesel Services where our #1 goal is to get you back on the road! We are your one-stop service provider for all your major and/or minor truck and trailer repairs and are proud to be one of the quickest repair turnaround facilities in the El Paso area. We specialize in everything your truck may need – literally, from A to Z. Because we started as a trucking company, we understand just how much goes into that statement and what it means for those of us involved in the trucking industry. 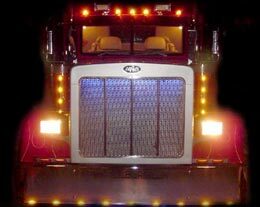 We understand that if your trucks are not on the road, it is costing you money. Since 2005, we have been providing cost-effective, high-quality diesel mechanic services that are recognized across El Paso and its surrounding areas. Our full service shop is located on almost a 5-acre fenced-in lot with security cameras for the safety of your drivers and equipment. For your convenience, comprehensive emergency roadside assistance is available in order to accommodate your needs on the road and on the go! Truck break down on the side of the road? With A2Z Diesel Services, you won’t have to worry. We are a trusted commercial tire distributor in El Paso. We provide tire repair as well as new tires including the premium Hanksugi Japan commercial tires and the cost effective LongWay Commercial tires. We are also an authorized Licensed Texas Inspection Station recognized by the state of Texas. We issue FMCSA safety inspection stickers so that you can get your entire trailer serviced, inspected and operating under Texas/Federal regulations (our inspectors underwent Level 1 Inspector courses). We are open 7 days a week, so call us today for all your truck needs!